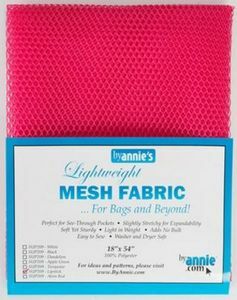 Lightweight mesh fabric in various colors. 18inx54in. Perfect for see-through pockets. Slightly stretchy for expandability. Soft yet sturdy. Add no bulk.